The TSA has strongly criticized a screener’s account of unethical practices, including poking fun at body-scan images, at the agency, The Los Angeles Times reports. 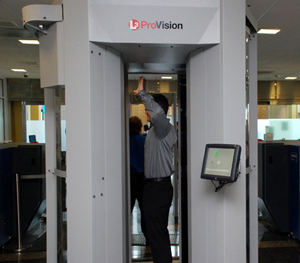 Former TSA Agent Jason Edward Harrington wrote in Politico that TSA agents at Chicago O’Hare International Airport had low morale, targeted certain people for pat-downs and made fun of images created by full-body scanners. But the TSA quickly disputed those accounts, saying some of the practices were inaccurate or outdated. “TSA does not tolerate any form of unethical or unlawful behavior by its employees and takes swift disciplinary action if discovered,” TSA Assistant Administrator LuAnn Canipe said. TSA officials said there are no plans to investigate the claims by Harrington. Posted: 2/10/14 at 8:38 AM under News Story.